Ghosts and hauntings are popular topics today. Many people want to know how to find places where they can encounter ghosts, too. Search online for your city, town, state, and region, using words such as “ghosts” and “haunted.” Many websites list every location that is even rumored to be haunted. In our experience, only a small percentage of these will have ghosts. However, if the sites are near your home, it’s worth checking every location. Check recent news headlines for reports of hauntings. Some websites, including HollowHill.com, list the best regional news stories about ghosts. Read books at the library. Most public libraries have a section about the paranormal. Also look among books describing your local area. Libraries usually have a section specifically about their town or city, and the region in general. While “ghost” books can be unreliable, they are a good place to start. Ask people. You may be surprised by how many believe in ghosts, or at least know a few places with ghost stories. Generally, college, high-school and middle school students know rumors about local haunted places. Check back issues of local newspapers. Most newspapers feature haunted sites in their issues the week before Halloween. Ask the police. You may be surprised that the police are often the best resource for information about hauntings. Generally skeptics, the police know which places generate complaints about odd activity–noises, weird lights, and so on–but have no reasonable explanations. Cemeteries are usually mildly haunted. Older cemeteries–from the 19th century and earlier–are more likely to have ghosts. Explore the oldest sections of cemeteries for the best results. However, many cemeteries are closed between dusk and dawn. Be sure to observe local laws whenever you go ghost hunting. Abandoned building sites are often haunted. People don’t usually walk away from a perfectly good house or building unless there is something significantly wrong with it. What’s wrong may be a ghost. Theaters — the kind that have a stage the people have performed on–are almost always haunted. Usually, these are fun ghosts. Look for ghosts around the stage, in the audience, backstage, and just outside the doors to the seating areas. Most colleges and some schools usually have at least one poltergeist. However, you’ll probably have to ask the students for help in finding them. An EMF meter can be especially useful for locating poltergeist activity. Avoid investigating private homes when you are new to ghost hunting. 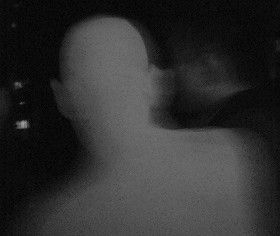 In addition to issues of safety and the law, people who are troubled by ghosts–or proud of them–have expectations that you may not be able to meet. These should be a enough ideas to get you started when you are new to ghost hunting or are looking for some good local haunts. However, also rely on your gut instinct. If a location looks haunted, it might be a good place to investigate. Ghost hunting can be a fun hobby, and even more exciting than TV shows about hauntings. Almost every community has a ghost or two. Use common sense and observe local laws, and you may return home with ghost stories to impress friends and family. © Fiona Broome, February, 2006. Compiled and edited by Kathy Weiser/Legends of America, updated October, 2017.